The Brazilian asked to fight against Nick Diaz or Michael Bisping, but the UFC has decided to grant the request of Gastelum, that wanted to be measured to Silva. The average weight is burning. The quality is tremendous among the best in the category, which means that there is no clear dominator. Competitiveness leads the fighters to a game of almost continuous challenges. It has led Dana White to choose between two juicy requests. 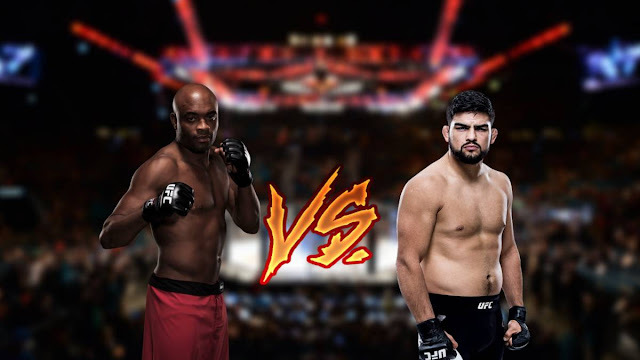 One of Kelvin Gastelum and another of Anderson Silva, both left very satisfied to the fans, but only one could get ahead. In the end it will be that of the American that will be measured to Silva on June 3 at UFC 212, to be held in Rio de Janeiro. Gastelum knocked out Vitor Belfort in the first round last Saturday at UFC Fight Night deFortaleza. 'Mini Cain' amazed fans and pointed to another Brazilian legend: Anderson Silva. The American wants to rise in a brilliant way and believes that victories against contrasted fighters will thus target him more quickly. Said and done. Dana White set to work and closed the fight. Discarding the request of the 'Spider' Silva. The Brazilian knows with his 41 years his career may be giving his last snatches, therefore, pursues an opportunity to bid farewell to the title. Nick Diaz and then champion Michael Bisping, that's the roadmap he 'sold' on his Facebook, remembering the outstanding accounts he has with both. That request was late, and the UFC had almost closed its fight against Gastelum. There was only one common denominator, the two wanted to fight in Rio de Janeiro. I wish fulfilled. The Brazilian public is already fantasizing about UFC 212.